Are you looking for positivity in your life? Do you want to experience bliss in a travel to a Philippine destination? Good news! 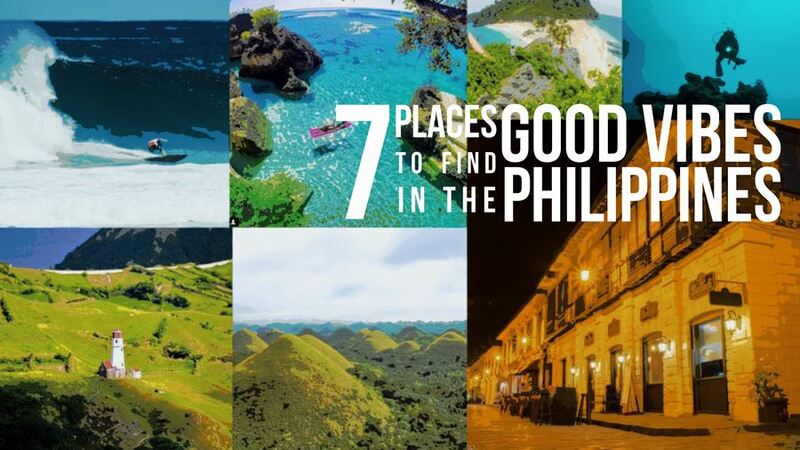 If you’re going to ask me who has been checking out places to go to by blog hopping and looking for photos on Instagram, these 7 places are home of different kinds of good vibes you can enjoy with the people you love. Upon looking at the photos and reading other people’s experiences, these 7 places can surely be source of good vibes to its travelers. Situated in the northern part of the Philippines, Batanes is known for its pure ecstasy with nature and perfect for those who are currently living in the busy streets of the metro. It’s perfect to unwind and hear your breathing while looking at the green veranda. Follow @awesome.pix for more incredible nature and travel posts! ••••••••••••••••••••••••••••••••••••••••••••••••••••• 🔸Oslob, Cebu, Philippines ✨ 🔸©Photo by: @ninjarod ••••••••••••••••••••••••••••••••••••••••••••••••••••• Tag #TravelingOurPlanet and follow us to be featured! In Cebu, there are various tourist destination you can choose from. If you go north, don’t forget to check out Malapascua and if you decide to go south, either Moalboal, Badian or Oslob will give good vibes as you will surely enjoy the wonders of nature. Dive and swim with the fishes to see the wonders of the underworld. Experience the ‘good vibes’ as you marvel through the beauty of the corals and everything under the salty water. Going underwater can be more fun if well planned and with someone you love. Isn’t it amazing to see almost endless green hills while looking at the clouds as if telling you more blessings will pour anytime soon? The clear blue sky, if lucky enough to see them, may also mean that you’re ready to face the future challenges in life with good vibes and all smiles! Ready to surf your journey all way up? In Siargao, dubbed as the Surfing Capital of the Philippines, it’s a home for everyone who want to experience a new level of ‘good vibes’ adventure! Make this a must-see destination if you’re into this sport. One of the New 7 Wonder Cities of the World, the city of Vigan is a window to the Philippines’ past. If ‘good vibes’ mean looking back of who we are, then this city will let you experience this country during the Spanish era. Relive those memories with the people you love as you move forward in your life’s journey. If there’s one great I love about Ilonggo, it’s their accent. They’re calm and sweet people that everyone would love to talk to. More than its people, Iloilo is known for its Isla de Gigantes (as shown on the image above) and delicacies like La Paz Batchoy and Barquillos. If you have traveled to these 7 places already or if you have other places not included in this list but deserve a spot, feel free to comment them below. “7 Places to Find Good Vibes in the Philippines” is a guest post by Romeo Bonsocan of Zuprome as Day 22 entry for The CBC 30 Day Bloggging Challenge.